Make your enterprise a place of personal and professional fulfilment! Long days at work, stress, fatigue, family life, etc. are many reasons that prevent a company’s employees from exercising on a regular basis. However, it is well documented that regular sport activity improves health, as well as physical and mental well-being. Are you a manager who is looking for an easy, effective method to instil enthusiasm in your employees? Or do you simply care about their health? OneCoach4U can help you to create in your work environment fitness coaching sessions fitted to your needs. For more information and to arrange an interview, please don’t hesitate to contact us! 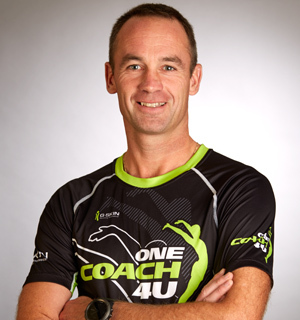 Sports coaching with OneCoach4U in the office? OneCoach4U places at your disposal personal trainers on your premises during the time slots that suit you best. We offer one hour sessions for groups of 10 people at an attractive hourly fee. Always striving for continued innovation in sports coaching, OneCoach4U offers a wide range of indoor and outdoor sports exercises for groups of different levels. because of the attractive price per person/per session we can reach a wide audience within your company. As the day progresses, your employees’ performance decreases significantly. Hence the interest in creating a break from their daily activities, without needing to leave the workplace. By proposing sports coaching sessions with a positive attitude, OneCoach4U allows your employees to feel better both physically and psychologically. reduces stress and burnout at work. It is well known that business communications are not always expedient, whether the communication is between other employees, between employees and their superiors or between different managers themselves. This difficulty to communicate is partly due to the lack of time available to invest in the understanding of the other person’s role. Uniform sports skills established into training groups by OneCoach4U, removes these barriers, placing everyone on an equal footing! your business becomes a privileged spot of well-being and of personal and collective fulfilment. Coaching personalized email on demand: weekly plan emailed, advice on basic lifestyle and diet, etc. Team building, a morale booster for your company! OneCoach4U organizes for your enterprise a personalized team building activity that combines challenge, communication, cooperation and relaxation. Our diverse activities – bootcamp, CrossFit, multisport, orienteering, mountain biking, massage, Reiki creativity workshops – will lead to the success of your goal! We adapt our trainings to your needs and budget!